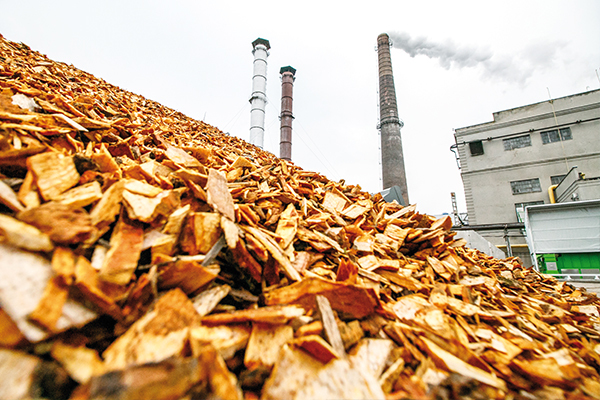 A total of $6.8 million over five years will be invested into converting biomass and plant-based matter into a variety of new materials and products. In October last year, a new research hub focused on transforming organic and wood waste in Australia’s paper and pulp industries into marketable chemicals was launched. The Australian Research Council (ARC) Hub for Processing Advance Lignocelluosics into Advanced Materials will see a total of $6.8 million over five years invested into converting biomass and plant-based matter into higher value materials. This will comprise cellulose-based hydrogels for personal medicine, nanocellulose films to replace food packaging and nanogels to help farmers maintain their crops. The research will target the agricultural, food and biomedical industries to innovate in these markets. The project comprises three objectives. One will be to derive green chemicals from Australian wood and lignocellulosic streams following examples from Europe and North America. Another will be to engineer new nanocellulose applications using Australian agricultural and wood residue to create nanocellulose and better nanofibres. The third will be to develop ultralight paper and novel packaging, creating cellulosic packing products with significantly improved physical properties and new attributes, including radio frequency identification (RFID) technology to integrate with transport or retail information systems. RFID could track product destination and quality, with a plan to make it part of the Australian industry in three to five years. Gil Garnier, Bioresource Processing Research Institute of Australia Director, says the goal of the project is to develop new products in existing markets in a circular way. As part of the research, the properties of materials such as paper bags will be transformed to make them stronger and more rigid. The researchers will aim to ensure paper bags offer a viable alternative over plastic. Meat trays could also be strengthened using recycled paper to retain the moisture of the product and keep it fresh. Gil says upgrading the properties of recycled fibres with additives and nanocellulose will mean they can be reused over and over. Gil says the project aims to compensate for fibre no longer being able to be sent to China. “Our partners are already using some of the outcome in their products. “We want to push that much further and grow them thinner and thinner to replace the plastic. Over the next three years there will be a lot of output,” he says. Gil says one of the real challenges will be processing the inorganic materials produced from the paper, including dealing with the residual sludge, which can be difficult to develop into new products. Residual timber or paper from the paper recycling process is typically burned, but the end goal will be to convert it into chemicals. The leftover process from that would then be incinerated. Over the next three years, the focus will be on developing higher value chemicals, with a goal of distributing them in five years. Gil says that one of the goals of the project is for its industry partners to generate, within four to 10 years, 25 to 50 per cent of their profits from products that don’t exist today.